A milestone of sorts. Today the counter on my site clicked over 10,000 page views. I am sure that this is not remarkable, but it is interesting to me. I started this blog two years ago in September 2008 for the reasons I state on the masthead, but with no idea whether it would be even remotely interesting to more than six people, but, as Magnus Magnusson used to say, “I’ve started, so I will continue.” There is still lots of interesting stuff out there and could keep me going for a few more years. I added the counter on September 24th last year, so I have no idea what the readership was before this. I assume it takes time. There wasn’t much activity in April and May, either on my part or by my readers, but since then hits have exceeded 1,200 a month. In the wide kingdom of blogoland this is probably very small beer indeed, but I am glad there is interest and thank you for reading my witterings. Slightly off topic this, but I was cycling through northern Hampshire yesterday and when I saw a sign indicating Wolverton, I thought I would take a little detour – just for comparison purposes. It turns out that this Wolverton is a scattered village, not unlike Wolverton in Buckinghamshire used to be, but without any development such as Stony Stratford on its fringe. It turns out that this was once a royal manor, subsequently held by various magnates and in the 19th century became one of the Duke of Wellington’s properties. It is still part of the Wellington estate, and this probably explains why it has scarcely developed beyond a few cottages for estate workers. Three thanes held this manor. One of them, Godwin, Earl Harold’s man, had 10 hides; the second, Thori, one of King Edward’s guards, had 7 1/2 hides; the third, Aelfric, Queen Edith’s man, had 2 1/2 hides; they could all sell to whom they would. I should pause to explain the hide – a unit of measurement now unfamiliar to us as we subsequently measured land in acres and now apparently in hectares, which are about as much as a mystery as hides! The hide was understood to be the amount of land that could support a household and is generally considered to be 120 acres. The measurement could be elastic. A hide of poorer land would cover more actual terrain than a hide of good arable soil. The hide was used for tax assessment purposes. In Wolverton’s case we can take the 120 acre measurement as pretty close since it was assessed at 20 hides and the measured coverage of the Wolverton Manor is about 2,500 acres. After the Conquest Maigno le Breton acquired some 15,000 acres, most of it in Buckinghamshire, but some in Leicestershire, Northamptonshire and Herfordshire. 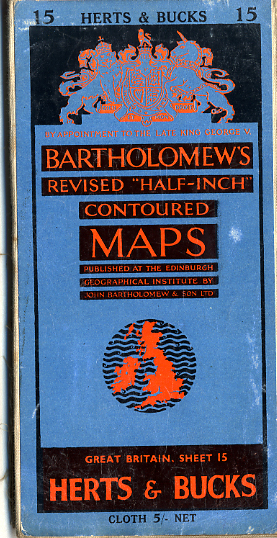 The best of it may have been Wolverton and this may be in part why he centred his barony here. The three thanes were well-connected. Godwin served King Harold (always referred to as Earl Harold in Domesday since William did not acknowledge his title to the throne); Thori was one of King Edward’s housecarles and Aelfric was a guard for Queen Edith. Aelfric does not appear anywhere else in Domesday, so his 2 1/2 hides was a relatively small holding, although sufficient to maintain himself as a fighting man. Godwin’s 10 hides, or 1200 acres, also appears to be the limit of his landholdings, but Thori owned the Manor of Thornborough and a few other parcels which gave him about 2,800 acres. I don’t think we can accurately determine which parts of the manor each had, but we could deduce that Godwin had the northern land based on Manor Farm, Thori, the western part based on warren farm, and Aelfric, the smaller eastern part based on Stonebridge House farm, or possibly Bancroft. The significant phrase “they could sell to whom they would” meant that their rights to the land were not tied to service as it became after the conquest. In other words it was understood that they had free title. This became meaningless after the Conquest because the land was simply appropriated by the invaders. It is highly probable that all three men and their brothers and sons were part of the army that tried to resist the invasion. They may not have survived, but even if they did, they were dispossessed. What happened to them and their families is unrecorded. One of the important distinctions between Saxon and Norman society lay in land ownership. Thanes were granted land by the king for their service. 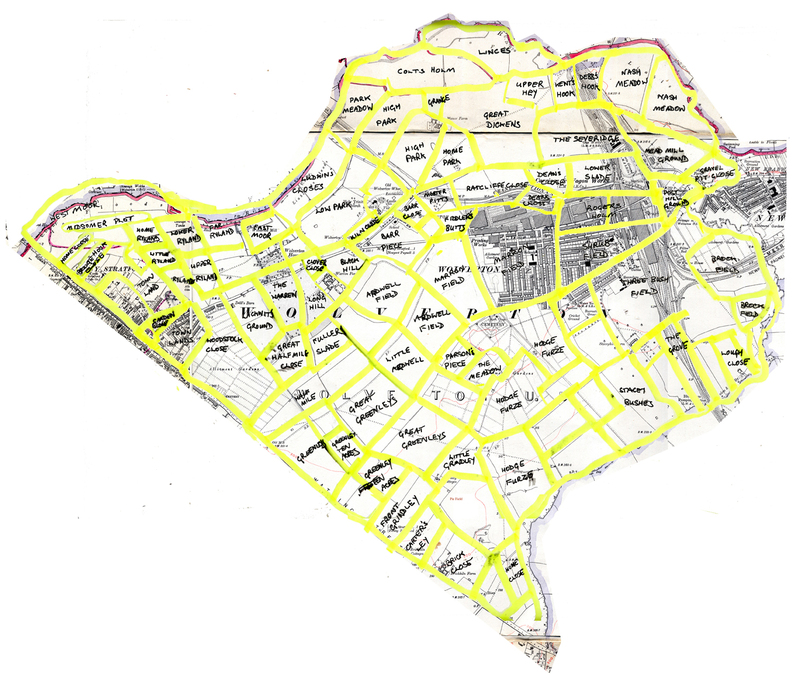 This land could be inherited by the Thane’s heirs and in this way some families built up extensive estates. Burgred of Olney, for example, not only had the manor of Olney but also possessed several manors in Northamptonshire and Bedfordshire. His son, Edwin, owned the manors of Lathbury and Sherington, so there were indications of dynastic growth. The Norman’s changed this. William appropriated everything to the crown and then allocated most of it to his tenants-in-chief. They in turn let their holdings to their supporters. The land could be, and was, taken back by the king for any treasonous or disloyal behaviour, so nobody really “owned” anything. People enjoyed customary rights to land which could be passed to their inheritors but their was no land ownership in the sense that the Saxons understood it nor as we would understand it today. This system held until the 19th century. Governance must have changed. Three smaller lords on the manor were replaced by a powerful magnate. The interests of Wolverton were now a part of a much larger estate. The transformation may have been akin to Parish Councils being replaced by more centralized bodies in the last century. As I have already mentioned the great part of the manor to the south was not considered suitable arable land in earlier centuries. The Greenleys area, the Ardwell Fields (from OE aeord – meaning rough), the Furzes and the Bushy Fields were given over to pasture for the cattle and pigs. After enclosure these fields were used for sheep grazing, which was highly profitable when wool was about the only substance used for textiles. While the open field system was still in operation this land would not have been enclosed and may have resembled a heath. The land enclosure took a number of years as the Longuevilles exercised their seigneurial prerogatives but it was certainly complete by 1654. At this time the Parson was given a plot of land just beyond the present cemetary, appropriately named “Parson’s piece”. I wonder now if the development of Wolverton might not have been different if the original Engine Shed and houses had been built in Three Bush Field. The Railway Company would still have had access to the canal and Green Lane could have been improved as a good road from the Newport Road to Stony Stratford. What difference would this have made? Well, Wolverton could have been built on the less productive land and it is possible that the Radcliffe Trustees may have had less objection than they did have when Wolverton grew on its most productive land. In 1837 however, no-one was thinking that far ahead. A lord was the pivotal figure in the manorial system which emerged after 1066. His wealth came from appropriating the best land for himself and requiring the peasantry on his manor to work his land for him. You could view this as a modified form of slavery or as a kind of tax in kind. In return the peasant got sufficient land for himself and his family and a certain security of tenure. Most scholars now believe that the so-called Feudal System never quite operated in the pure form I have described and that certainly after the plague years in the middle of the 14th century the old system gave way to one based upon money. The first invader, Maigno le Breton, established a motte and bailey castle near to the present site of Holy Trinity church and laid claim to the adjoining land for his demesne (domain). This would include the later fields, Great Dickens, Ratcliffe Close, Fiddler’s Butts, Morter Pitts, Home Park, High Park, Park Meadow, Low Park, Kiln Close and Ludwin’s Closes. Fiddler’s Butts was probably used for archery practice and Francis Hyde suspects that Ratcliffe Close was also used for recreational purposes. The Morter Pitts would have been used to extract lime and there were obviously kilns on the present site of Wolverton Park House. Low Park was the original village settlement. Medieval Farming was based upon large open fields which were communally farmed. The lord controlled rights of access to the land, usually in return for payment of a portion of produce, or services, or money, or sometimes a combination of all three. From the labourers point of view these rights were customary and could be passed from father to son and so on. Typically 30 acres was held to be sufficient to support a family. The local picture was often more complicated than this, but as a general description this is how the manor worked. The large fields were divided into strips and crops were rotated each year. I think there was originally a two field system, but in time this gave way to a three field system, so that a field could be left fallow one year in every three. 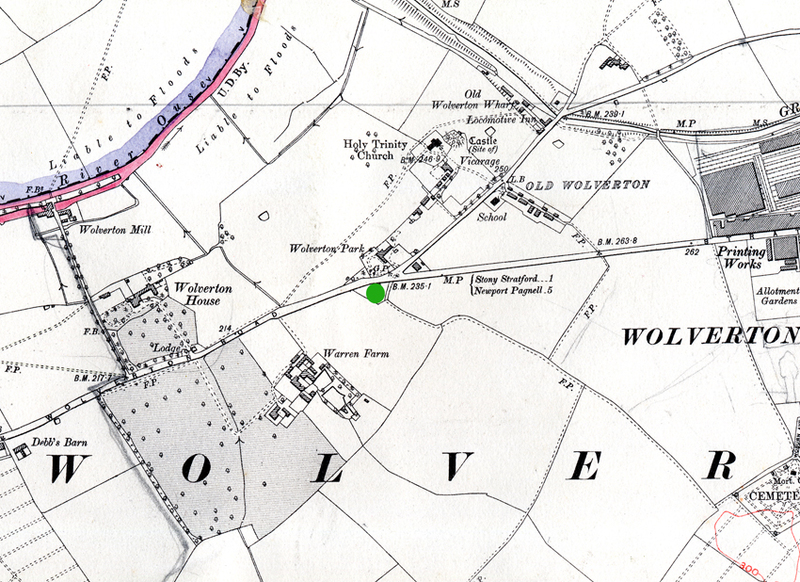 Francis Hyde explains that one of the fields extended from Stony Stratford to the mill drive and was bordered to the south by the Wolverton Road. Thus all the fields named Rylands – a good giveaway to the arable properties of the soil – were in this field. The second field was to the south of the Wolverton Road, starting at the corner turn and encompassing Barr Piece and Barr Close, Marron Fields, Dean’s Close, Roger’s Holm and Lower Slade. 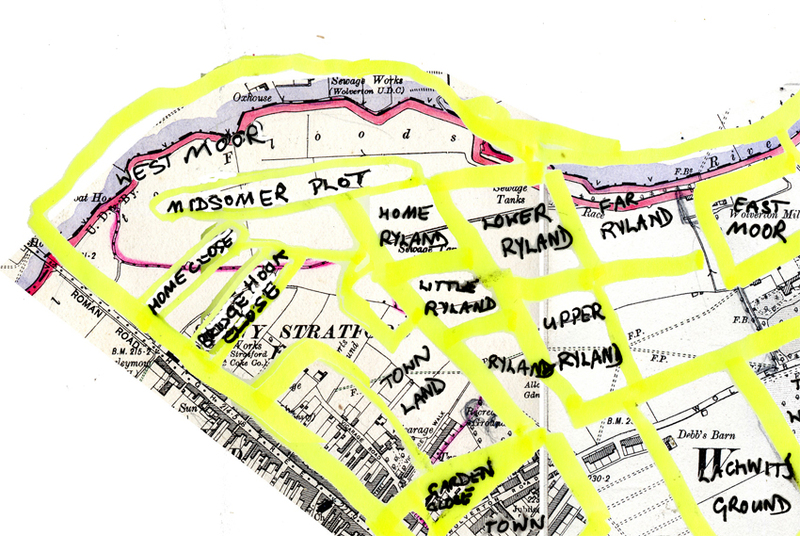 This, as you can see from the overlay, is mostly covered by the Railway Works, McCorquodale’s and the 19th century town. Barr (OE baere) means barley and plainly takes its name from what was grown there. It is likely that the name Atterbury, often found in Wolverton and area, can trace its origin from this or a similar named field in the area. When surnames originated in the 14th century people were quite as likely to take thier name from the place where they lived. Thus John atte Barre (John at the Barley Field) became in time, Atterbury. The third field included Colt’s Holm, Linces, Upper Hey, Kent’s Hook and Debb’s Hook and the Severidge. Great Dickens (great diggings) was probably part of the lord’s demesne. Linces, from linchets meaning ledges of ploughed earth gives us a clue as to how this land was traditionally used. Kent’s Hook and Debb’s Hook, meaning Kent’s and Debb’s corner respectively are also ancient Saxon names. Nash Meadow, beside the river, was always pasture land. After discussing the Pancake Hills and the Happy Morn, I thought I would look into the names of the fields around Wolverton. As I remarked before, just as we now name streets, our predecessors named fields and local landmarks, like “Two Mile Ash” for example. The pioneering history on this subject was undertaken by Dr. Francis Hyde, formerly a professor of Economic History at Liverpool University. He was, I believe, a Stony Stratford boy who went to the Wolverton County School at Moon Street and from there to university. He wrote a small 40 page history of Wolverton about 1939 (I am not sure of the date) and collaborated with Sir Frank Markham on a History of Stony Stratford in the 1940s. In his subsequent academic career he became an expert in the 19th century shipping trade to the Far East. The Wolverton Manor was cleared by the ruling de Longueville family in the 17th century. It was one of the earliest land clearances and thus there are no legal records. In fact the predatory Longuevilles appropriated most of the land illegally. I’ll return to this subject in another post. After The Radcliffe Trust took over in 1713 the manor came under more responsible management and a map of all the fields was drawn up in 1742. Many of these field names date from Saxon times. Some of these names have been preserved in the names of housing developments, first by Wolverton UDC and latterly by the Milton Keynes Development Corporation. Stacey Avenue, built in the 1930s, took its name from Stacey Farm, which had previously taken its name from the field called Stacey Bushes. In the 1940s, the post war construction of Furze Way, was named after the fields known as Hodge Furze. More recently, the 1960s development of Fuller’s Slade, took its name from one of the fields in that area, and the subsequent development of Greenleys assumed the name of the fields over which it has been built. The names of these fields tell us that this higher land was probably not the most fertile on the manor. “Stacey” comes from the Old English word stocc, meaning stock or stump. So Stacey Bushes would have meant stumpy bushes – land which had been partially cleared of woodland but leaving a lot of stumps in the ground and some growth of bushes, and presumably mainly used as grazing pasture. Those of us who remember the Moon Street school in its earlier years will recollect how rough and undulating some of the playing fields were, as was the field rising up to Stacey Farm. Furze is a common name given to spiny evergreen shrubs which still grow abundantly today on waste land. One can therefore infer that Hodge Furze, presumably named after a man named Hodge, was more or less waste ground. Much of Hodge Furze was built up in the first half of the twentieth century, while parts were converted to allotments – so there must have been some fertility in the land. Greenleys covers a number of fields with slight variations in name – Great Greenleys, Greenleys, Greenleys Ten Acres, Little Grindley and Front Grindley (bordering on the Watling street). This was green meadow land – pastures. A slade (OE slaed) is a patch of green land, sometimes in a valley, but probably in this case between wooded area. The name possibly comes from the man who owned it – Fowler, perhaps. 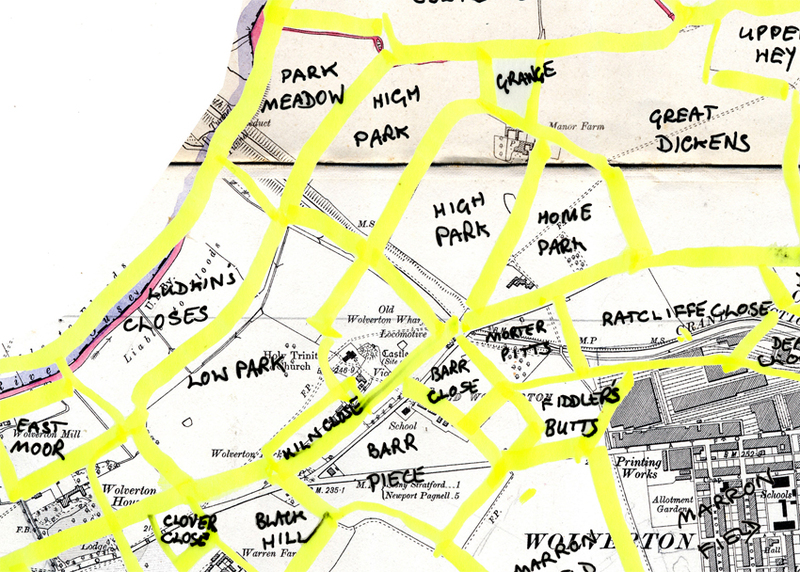 I have taken a 1930s map and drawn over the field boundaries in yellow. 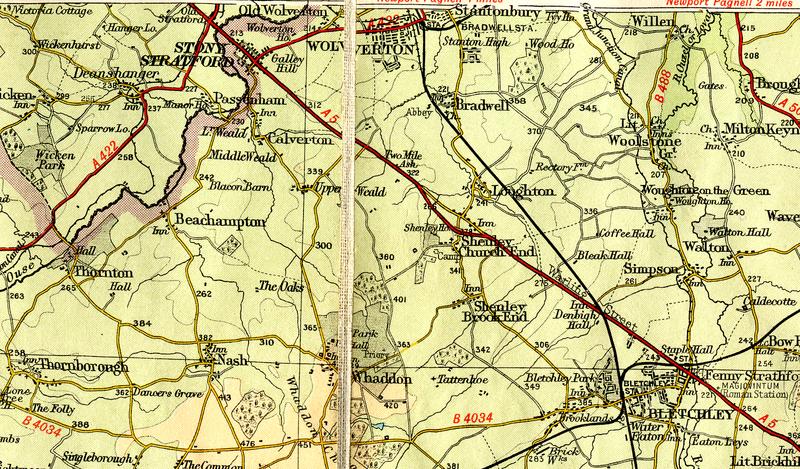 With the exception of the development of Wolverton and parts of Stony Stratford, the field boundaries were virtually unchanged from the 18th century. Many of these fields have now gone with the last half-century’s development. Only the northern part of the manor retains some of its fields, and even now these are quickly disappearing. Francis Hyde describes a large area of waste land, starting at the marshy West Moor by the Stony Stratford Bridge, working along the Watling Street and encircling Warren Farm and taking in most of the southern part of the Manor beyond Green Lane, including Stacey Farm. Brook Fields, to the east, where the remains of Bancroft Villa are to be found, was fertile. All of this land was probably common grazing land or was wooded in medieval times. The three great open fields, farmed communally in the Medieval system, were in the north, mostly beyond the present Stratford Road. I will show larger versions of sections of the map in subsequent posts and describe them in more detail. On the general topic of place names arising for no obvious reason I present you with the “Happy Morn”, or , as spoken by most Wolvertonians, “The ‘Appy Morn”. This was a small copse or spinney beside the Stratford Road opposite what used to be the Old Wolverton turn. I have marked it on the map with a green dot. The copse had no special significance that I know of. It was gated at the Stratford Road and at the field entrance to the footpath. The footpath, an ancient right of way, led to the old Green Lane beside the Cemetary. There is no known reason why this copse should be so named, although I could think of some fanciful ones. 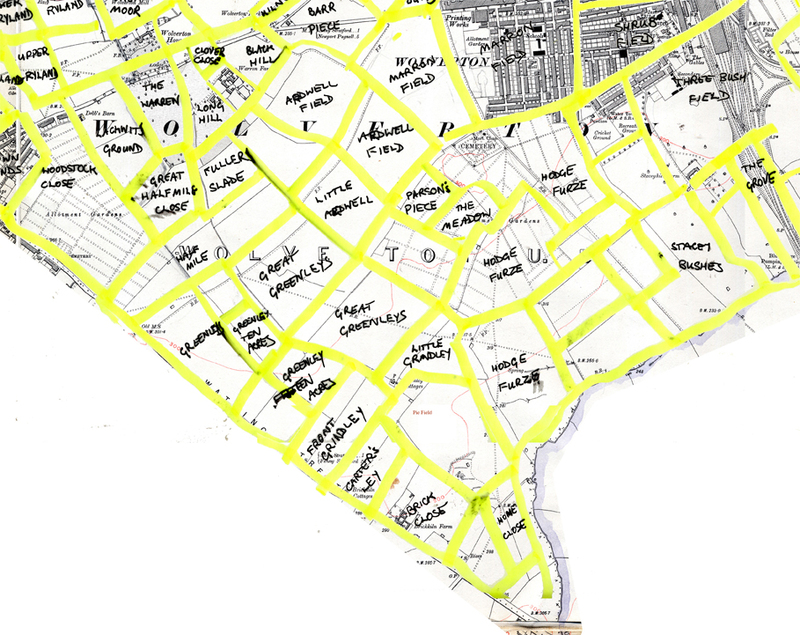 It harkens back to an agricultural age where every field had a name, as did every wood, copse, spinney or pond – these places having the same need to be named as our streets do today.